20 plastic multi-part Tribal models. 28mm sized, supplied unpainted and require assembly with glue. 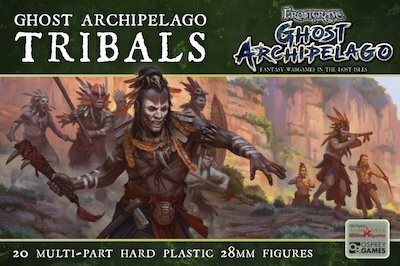 Designed to be used in the game Frostgrave: Ghost Archipelago, as either opponents to a Heritors Warband, or as a Tribal warband exploring the Ghost Isles.